Amid the daily turmoil and intrigue of President Donald Trump’s West Wing, senior adviser Jared Kushner has been quietly pursuing a personal passion: seeking to improve the lives of roughly 6.7 million people in jail, prison, on parole or probation in the United States and sharply reducing the chances ex-convicts return behind bars. Over the past 14 months, the president’s son-in-law has met with dozens of members of Congress, 11 governors and convened nine listening sessions, with experts and advocates developing initiatives to reduce the nation’s recidivism rate, an administration official said. Kushner’s mission has so far been largely below-the-radar in a White House that’s branded itself as tough on crime, but sources familiar with the effort say he has persisted in elevating it as a legislative priority – even winning the president’s ear. His approach is somewhat novel — taking the reins on an issue that traditionally has not been at the forefront of the Republican platform. Along the way, Kushner’s had to carve an acceptable path for reform within the Republican party and with an attorney general, Jeff Sessions, who has long held tough on crime views. Kushner's "come in and provided a very good ‘let’s get it done’" attitude, said Republican Rep. Doug Collins of Georgia, a leading advocate on prison reform in the U.S. House. President Trump has even come to see the effort as a way to help the “forgotten men and women” whose voices he vowed to represent with his historic 2016 campaign, according to several people close to the effort. One senior administration official went so far as to characterize the White House view of what they called unacceptable conditions of America’s prisons as being like warehouses for storing human trash. “The Administration wants to assist long-time prison reform advocates with their initiative to create a prison system that will rehabilitate citizens who have made mistakes, paid the price and are deserving of a second chance – which will ultimately reduce crime and save taxpayer dollars,” Kushner told ABC News of the effort. (Mandel Ngan/AFP/Getty Images) Director of the National Economic Council Gary Cohn, Senior Advisor Jared Kushner, and Senator Gary Peters, D-MI, take part in a meeting with President Donald Trump and members of Congress on trade in the White House, Feb. 13, 2018. Approximately three out of every four Americans released from state prison ends up back behind bars within five years, according to one Justice Department study. More than $6.7 billion is spent annually on the nation’s federal prison system, according to the Pew Charitable Trusts. In forging his path, Kushner first sought to find a way forward that would be acceptable within the Republican administration, consulting with members of the administration, conservative Republican groups and lawmakers on an issue that disproportionately impacts racial minorities. 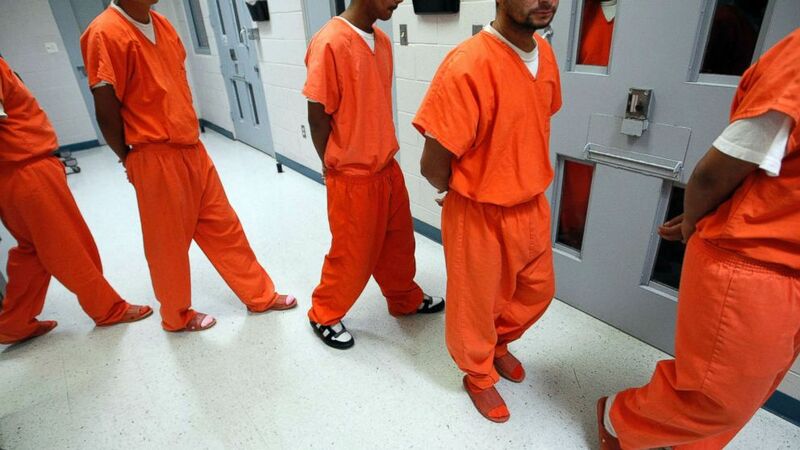 While 13 percent of the U.S. population is black, they make up 38 percent of the nation's federal prison population. And while 18 percent of the total population is Hispanic, they comprise 33 percent of the prison population, according to Department of Justice and Census data. In February, the Brennan Center for Justice was among a handful of other liberal-leaning groups invited to the White House to meet with Kushner and his team to get their perspective on the issue, after the White House had reached a preliminary agreement with the Justice Department on the way forward. “From a political perspective I don’t fault a conservative White House for going to conservative groups first and then presenting it to progressive groups,” said Inimai M. Chettiar, the director of the justice program at the Brennan Center. "But obviously by doing that they were missing the perspective of civil rights groups, but I understand why they went to conservatives first." The Brennan Center opposes the White House's reforms on the basis that they do not go far enough to also address sentencing reforms. The Brennan Center is not alone in its opposition. Late last month, a group of 60 civil and human rights organizations sent a letter to Senate leaders expressing their opposition to the prison reform-only approach that has the backing of the White House, writing that such proposals fail to achieve "meaningful reform." (Tom Pennington/Fort Worth Star-Telegram/MCT via Getty Images) New federal inmates prepare to undergo health screenings while being processed at the Val Verde Correctional Facility in Del Rio, Texas. "Any approach that does not include sentencing reform will be insufficient to meet the challenges we face," the letter reads. "It is up to Congress to continue to advance front end and back end reform designed to improve both federal sentencing laws and the functioning of the federal prison system." The NAACP was one of the group's that signed on to that letter. The group's senior director of criminal justice programs Ngozi Ndulue says that although she is "encouraged" by the White House's plans to improve reentry and rehabilitation programs, she remains "wary" of the administration's broader record on the issue. "We know that such programs will improve the lives of many and the health of our communities. However, we remain wary of this administration’s record on criminal justice since it has consistently acted to criminalize communities of color," Ndulue said. "The federal government has an important role to play in not just re-entry and rehabilitation but in ending our current era of mass incarceration. We urge this administration to end the use of private prisons, reduce the number of people prosecuted and incarcerated in the federal system, and eliminate racial disparities in the administration of justice." The group Cut 50, which was co-founded by former Obama adviser Van Jones and describes itself as bipartisan, is working with Kushner on the issue for now but is withholding judgment on whether meaningful reform is achieved through legislative efforts. "I believe Jared Kushner has personal experience and good intentions to work on this issue and achieve meaningful reform," says co-founder Jessica Jackson Sloan. "There are a lot of areas in which our criminal justice system is failing, it’s important that we address those that can be reformed and continue to fight for sentencing reform." Kushner’s drive was born from first-hand experience with the federal prison system when his father, Charles Kushner, spent a year behind bars in 2005 for tax evasion and illegal campaign contributions. Kushner, 25 years-old at the time, found himself thrust into the role of leading his family’s business, and frequently traveling to visit his father at a federal penitentiary in Montgomery, Alabama the on the weekends. More than a decade later, people close to the younger Kushner say he sees now it as his God-given responsibility to use his position and influence to affect change. 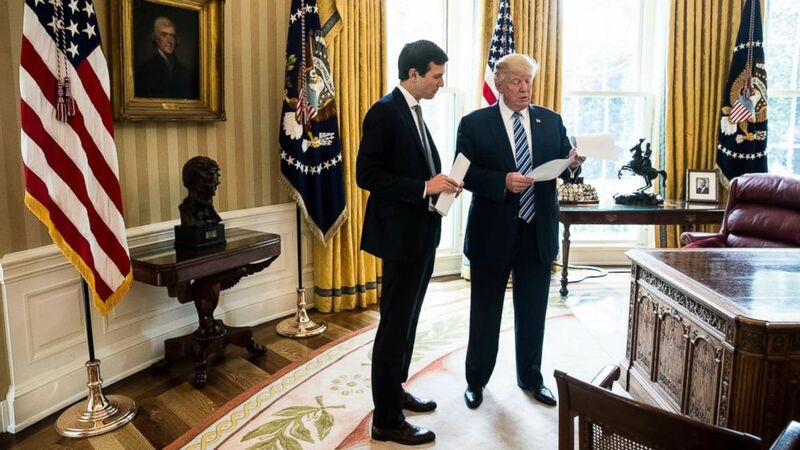 (Andrew Harnik/AP) President Donald Trump speaks to White House Senior Adviser Jared Kushner, left, in the Oval Office in Washington, D.C., April 21, 2017. 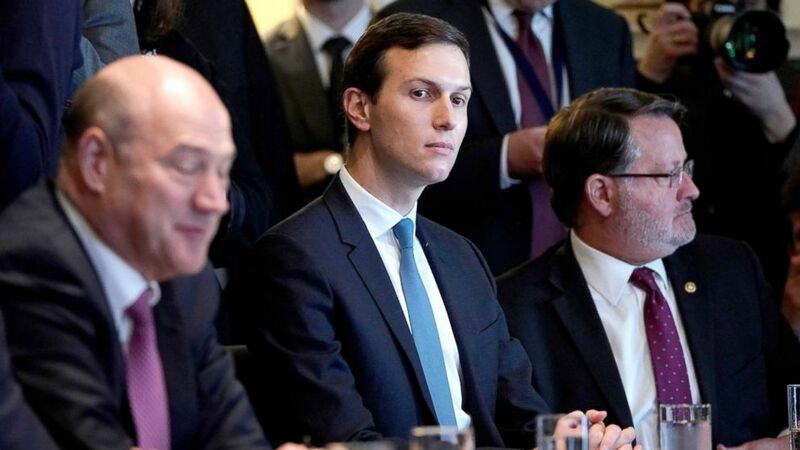 “Clearly it left a crease in [Jared’s] heart,” said Pat Nolan, a former Republican Leader of the California State Assembly who served prison time for racketeering and helped support the Kushner family after the sentencing. “Ten years after I met them, what God had planted back then brought forward an opportunity,” Nolan said of Kushner’s position in the White House. Nolan leads the American Conservative Union’s Center for Criminal Justice Reform. At Kushner’s direction, the White House is pursuing a three-pronged approach to improving federal prisons: backing legislation to improve prisoner rehabilitation and reentry programs, overhauling regulation and administrative guidance, and issuing a call to action to private-sector and faith-based groups to further amplify the administration’s message. “We must build on the approach used in Texas and other states to rehabilitate incarcerated individuals so that they’re less likely to end up behind bars again,” said Brooke Rollins, president of the conservative Texas Public Policy Foundation, who has now been hired by the White House to work alongside Kushner. In the early 2000s, Texas had one of the highest incarceration rates in the country and one of the worst crime rates. But over the course of the last decade, the state increased its investment in mental health and substance addiction services for prisoners, diverted non-violent offenders away from prisons, and put increased attention on probation and individualized reentry programs. Texas has since shuttered eight prisons, saved upwards of $2 billion, and seen a decrease in the state’s crime rate, according to the Texas Public Policy Foundation, a conservative think tank based in Austin, Texas. The White House effort to replicate what it sees as Texas' success has the blessing of Sessions – a long-time skeptic of reforms to the criminal justice system and an opponent of looser sentencing guidelines. People close to Kushner say he considers Sessions’ support a small but significant personal victory. “I appreciate your leadership on this and pushing this,” Sessions said to Kushner in front of cameras at a White House meeting with the president, governors, and prison reform advocates in January. 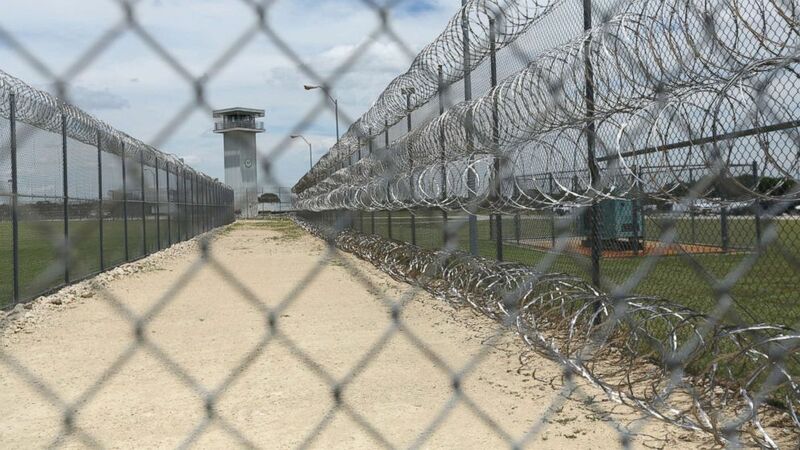 (Jaime Dunaway/AP) This Wednesday, June 21, 2017 file photo shows barbed wire surrounding the prison in Gatesville, Texas. The Brennan Center applauds the progress that has been made in Texas but says that the reforms are "watered down" and didn't go far enough. "They allowed judges to have discretion over whether drug offenders should be sent to treatment, that is a watered-down reform," she said. "The default should be, that if you're someone struggling with drug addiction, that you should go to treatment and if there is an exceptional circumstance, then a judge can consider prison." Department of Justice spokesman Drew Hudson says the attorney general is “working closely” with the White House to support the improvement of prison rehabilitation and reentry programs. “The attorney general is committed to enacting proven, evidence-based policies that are effective in helping inmates learn to respect the rule of law and develop the skills necessary to become contributing members of society after they have served their full sentences,” Hudson said. The White House has thrown its support behind a bipartisan bill co-sponsored Reps. Doug Collins, R-Georgia, and Hakeem Jeffries, D-N.Y., that aims to strengthen education, job-training, mental health and drug rehabilitation programs for prisoners, while putting increased focus on the importance of individualized reentry plans. The bill does not address sentencing guidelines. The House Judiciary Committee is expected to take up the legislation for debate as soon as this month. Jeffries is one of a couple of members of the Congressional Black Caucus who have been in touch with the White House on the issue, according to a spokesperson for the caucus. The caucus has long been a major contingency on Capitol Hill in advocating for criminal justice reform. “Sentencing reform gets us bogged down a little bit, but prison reform there’s general agreement that if we can do something on redemption, and provide something for prisoners to have a real sense of accomplishment when they get back into society that’s a worthy goal, and right now it’s coming together very well,” Collins said. The fate of the Collins-Jeffries bill is far from certain in the Senate, where leading Republicans remain divided over the best path forward. “I want to participate in a process that will result in a criminal justice bill being signed into law. Call it a concession to the brevity of life,” said Republican Sen. John Cornyn of Texas, who is the sponsor of legislation similar to the Collins-Jeffries bill in the Senate. But influential Senate Judiciary Committee chairman Sen. Chuck Grassley of Iowa has so far been insistent that any legislative package to reform America’s prisons include the more controversial sentencing reforms which Sessions and some staunch conservatives vehemently oppose. While Jeffries is encouraged by Kushner’s commitment to the issue, he says success or failure may ultimately come down to President Trump. ABC News’ Ben Siegel contributed reporting.